Greetings: a quieter week this week, we can catch our breath. Tonight (Tuesday 16th) at Meta House is the opening of an exhibition by Australian art educator Chris Abrahams, a series of canvases inspired by Cambodia’s natural landscape, through the provinces and islands. 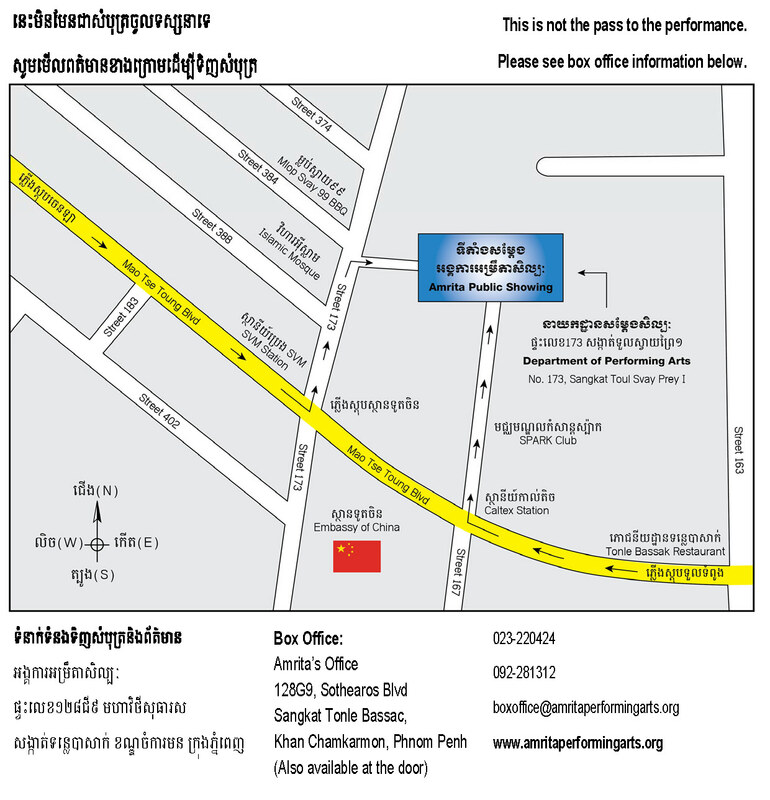 Visit to Cambodia opens at 6 pm. For any Kumnooh subscribers in Hanoi, the Mahabharata Art Project collaborative dance performance that graced Phnom Penh last week is playing tonight at the Youth Theatre of Vietnam. On Saturday night from 7 pm, Meta House hosts the young Khmer filmmaker collective Kon Khmer, Koun Khmer’s South East Asian Film Night, a presentation of a selection of short films from the 2012/2013 Chaktomuk Film Contest. The screenings will be followed by Q&A with the filmmakers. Free admission, English subtitles. Sunday evening at Meta House is an homage to Irish writer, poet and playwright Oscar Wilde, an evening of cinema, poetry and music. The show will commence with a blues performance by Frisco Tony & The Beatniks, followed by a screening of Dorian Gray, the 2009 adaption of Wilde’s only published novel, The Picture of Dorian Gray. 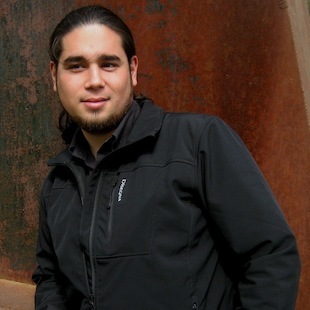 At 9 pm there will be spoken word performances by Neo-Beat poet Antonio Pineda and Scott Bywater, with musical accompaniment. Also on Sunday afternoon, at 5 p,m it’s time to sharpen pencils and order a round for Drink and Draw Cambodia, at Baitong Restaurant, #7 Street 360, between Norodom and 51. The people behind the upcoming and eagerly awaited Cambodian arts revival documentary Year 33 is holding a video dance competition, Dance with Cambodia. They ask that you send a video of yourself dancing for 20 seconds or less… and there’s a prize involved. Entries close 31 July. The August/September edition of Asian arts and culture e-magazine Dusun is now available here, with a number of Cambodia-related features, including work by Leang Seckon; a new publication by Martin Bradley, illustrated by Pei Yeou Bradley, The Story of Colors of Cambodia, on a Siem Reap based children’s art programme; poetry inspired by Cambodia, and pieces from This Dog Barking, the exhibition currently underway at Java Café and Art Gallery in Phnom Penh. Dusun fourteen is a lush e-package that also covers China, India and Malaya, well worth a look. 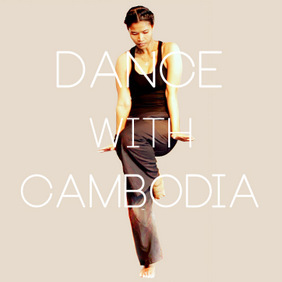 For those of a more IT bent, Cambodia Living Arts is seeking a volunteer to develop a website for the 2014 Youth Arts Festival, with work to be completed by the end of 2013. Check the on-going listings below for more details. Make yours a creative week, support an artist near you! Tell your friends about Kumnooh, like us on Facebook, send us things we don’t seem to know. And for rock and roll and clubs, make sure you follow LengPleng.com as well. Visit to Cambodia, Cambodian landscape canvases by Chris Abrahams, opens Tuesday 16 at 6 pm at Meta House. Drink and Draw Cambodia, Sunday 21 from 5 pm at Baitong Restaurant. Oscar Wilde homage at Meta House featuring a blues band, a screening of Dorian Gray, and spoken word poetry. From 6 pm on Sunday 21. This Dog Barking, exhibition of new graphic novel This Dog Barking – The Strange Story of UG Krishnamurti, Nicolas C. Grey and James Farley at Java Cafe and Art GalleryUntil September 1st. The week kicks off tonight, Tuesday 9th, at Java Cafe, with This Dog Barking, the first public unveiling of the completed graphic novel This Dog Barking – The Strange Story of UG Krishnamurti, by UK collaborators artist Nicolas C. Grey and writer James Farley. Tonight’s exhibition opening commences at 6 pm, then on Thursday 11th there will be a reading and discussion. The show runs until September 1st. Throughout this week, Meta House are showing a range of art-related documentaries, kicking off on Wednesday night with the Cambodian premiere of a Khmer language short film, Broken, by Amit Dubey, in which a man returns to Phnom Penh, where he spent his childhood. The screening commences at 7 pm, after which there will be a Q&A with the cast and director. This is followed at 8 pm by a screening of human rights short films from the Berlin Interfilm Festival. On Thursday evening at 7pm, Iara Lee’s Cultures of Resistance introduces artists from Iran, Burma, Brazil, Palestine and Lebanon who commit their lives to promoting change. Then Saturday night at 7 pm Lillian Abel will be present at a screening of Humble Beauty, a 2008 documentary that features the work of The Art Workshop in Los Angeles, an organisation that she founded to mentor artists in the skid row community; to be followed by Q&A. 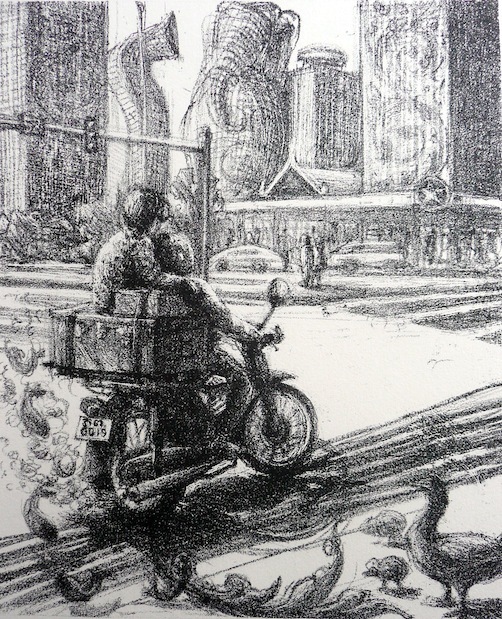 The Insider Gallery at InterContinental Phnom Penh opens its new show on Thursday 11th at 6 pm: Continuity, by Royal University of Fine Arts, featuring the work of the Char Printmaking Workshop, the first etching workshop in Cambodia. Until August 25th. On Friday 12th, at 6.30 pm, we are invited to the opening of an exhibition of new paintings by artist Pen Robit, entitled Kromas, an exploration of contemporary Cambodian society through the image of the kroma. 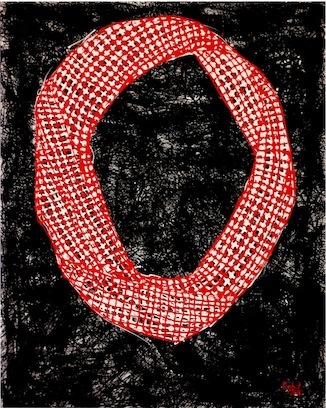 A range of 12 works that range from abstraction to portraiture. Says Pen, “I want to play with vision, so you look through and also see what is not there.” Romeet Gallery, until August 11th. The nights of Friday 12th and Saturday 13th are your only chances to see Mahabharata Art Project, a dance performance under the auspices of Amrita Performing Arts, to be held July 12 and 13 at the Department of Performing Arts (a venue behind Parkway Centre and the Spark nightclub; access from St 173; Map here). This project brings together dance artists from Cambodia, Malaysia, Indonesia and Japan, under the directorship of Hiroshi Koike. Show starts at 6.30 pm. On Saturday morning, Bophana Centre is hosting an event in the wake of the Season of Cambodia in April/May this year in New York City. Organisers, participants and artists will share their experiences, and there will be free snacks. From 10 am. Finally for this week, Phnom Penh Community College is hosting a poetry and song lyric writing workshop on Saturday morning from 9.30 am, facilitated by Phnom Penh based poet and songwriter Scott Bywater: Finding a voice and speaking up. $30 for the session, including refreshments. Bookings through the PPCC. Oh, and for rock and roll and clubs, make sure you follow LengPleng.com as well. This Dog Barking, exhibition of new graphic novel This Dog Barking – The Strange Story of UG Krishnamurti, Nicolas C. Grey and James Farley. Java Cafe and Art Gallery, Tuesday 9th at 6 pm. Until September 1st. A further reading and discussion will be held on Thursday 11th at 7 pm, same venue. Broken, premiere of Khmer language short film by Amit Dubey, plus Q&A with cast and director, Meta House, Wednesday 10th, 7 pm. Followed by human rights short films from the Berlin Interfilm Festival at 8 pm. More infoCultures of Resistance, arts activism documentary, Meta House, Thursday 11th, 7 pm. More infoHumble Beauty, community arts documentary, plus Q&A, Meta House, Saturday 13th, 7 pm. Continuity, Char Printmaking Workshop, RUFA, opening at The Insider Gallery at InterContinental Phnom Penh, Thursday 11th at 6 pm. Until August 25th. Kromas, new paintings by Pen Robit, Romeet Gallery, Friday 12th, at 6.30 pm. Until August 11th. Mahabharata Art Project, presented by Amrita Performing Arts, Friday 12th and Saturday 13th at the Department of Performing Arts. Show starts at 6.30 pm. Discussion at Bophana Centre in the wake of the Season of Cambodia this year in New York City. From 10 am. Poetry and song lyric writing workshop at Phnom Penh Community College on Saturday morning from 9.30 am: Finding a voice and speaking up. Keep it Simple, Stupid, a new exhibition at Rik Reay Gallery, St 178, from Our Books/ Siewphew Yeung. Until July 14. 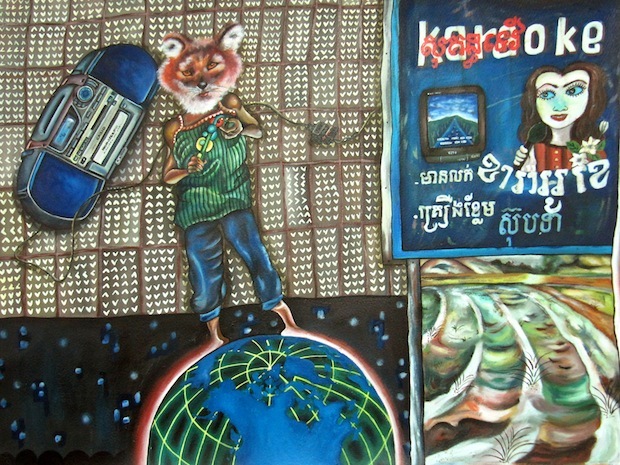 Global Hybrid: HERo.e.S/HER open eyeS, young Khmer and mid-career US artists, curated by Denise A. Scott, Meta House. Greetings. Welcome to another week in the arts in Cambodia, in which we can find an antidote to the commencement of election festivities. The week kicks off with the Cambodian-American Friendship Concerts organised by Cambodian Living Arts at InterContinental Phnom Penh. Tonight the Boston Children’s Chorus and tomorrow the New York New Music Ensemble, both at 7 pm. To get a flavour of Wednesday night’s show you can read an interview with Khmer composer Him Sophy here. The NYNME will also play at the Shina Mani Hotel in Siem Reap on Saturday night at 8 pm. It’s a busy week at Meta House! Daniel Rothenberg’s Life Is exhibition opened there a couple of weeks ago, and he returns on Wednesday 3rd for an Artist Talk, to discuss this vibrant, vivid ongoing community art photo series. From 7 pm. Then on Friday evening at Meta House, the opening of a new showcase covering six years of Global Hybrid: HERo.e.S/HER open eyeS, a selection of works curated by Denise A. Scott, blending the work of rising young Khmer artists with mid-career US artists. From 6 pm. The exhibition will later travel to Lotus Gallery in Battambang. The third annual Art Olympics Project, presented by the US Peace Corps, opens at Meta House on Saturday night at 6 pm, featuring works by students from nine Cambodian provinces who took part in a nine week critical thinking art course, submitted works, and were chosen to participate in an art workshop in Phnom Penh with Chov Theanly and Oeur Sokuntevy. Thai community theatre group Moradokmai and Osono Theatre Group from Romania are in town to co-present collaborative performances this weekend. Saturday and Sunday night at Meta House at 7 pm, and then a double header at Botanic Café/Art Gallery (St 19, just north of St 172) on Monday 8th at 7 pm. Here’s a taste. 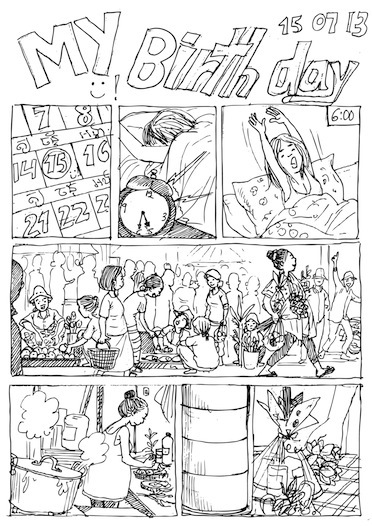 Keep it Simple, Stupid, a new exhibition that opened yesterday at the tiny but innovative Rik Reay Gallery on St 178, presents work by comic artists arising from Our Books/ Siewphew Yeung participation in the Mekong ICT Camp in May. The works on display will change every few days between now and July 14, while the entire exhibition is available on-line at Flickr set and PDF. Received here at Kumnooh mission control this week: an open call for submissions to Singapore-based Spot Art, an international juried art festival for artists under 30 years old, with a focus on South East Asia. Applications close 5 July. In conclusion, well-loved Phnom Penh music venue Equinox is keen to hear from artists who would like to exhibit in the downstairs space. Oh, and for the more loud sorts of music, make sure you follow LengPleng.com as well. Cambodian-American Friendship Concerts at InterContinental Phnom Penh. Tuesday, 7 pm for Boston Children’s Chorus and Wednesday, 7 pm for New York New Music Ensemble. NYNME then heads to Siem Reap to play Shina Mani Hotel on Saturday 6th at 8 pm. Artist talk by Daniel Rothenberg: the Life Is community photo series, Meta House, Wednesday 3rd, 7 pm. Global Hybrid: HERo.e.S/HER open eyeS, young Khmer and mid-career US artists, curated by Denise A. Scott, Meta House, Friday 5th from 6 pm. Art Olympics Project, presented by the US Peace Corps, Meta House on Saturday 6th at 6 pm. Thai/Romanian theatrical collaboration Moradokmai and Osono: Saturday and Sunday night at Meta House at 7 pm; then Monday at Botanic Café/Art Gallery (St 19, just north of St 172) at 7 pm.